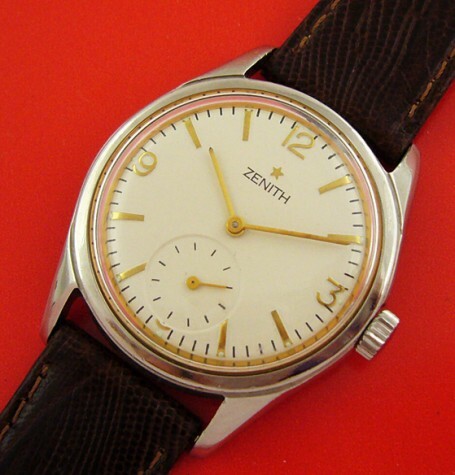 Zenith pilot watch, vintage sports model. 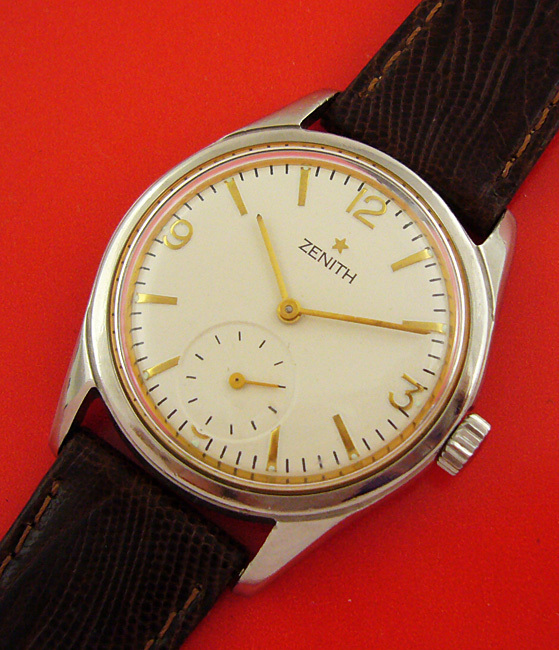 An unusual vintage Zenith Pilot wrist-watch, which appears to date to the 1960’s. 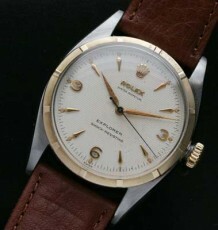 The restored dial features gold tone 3, 6 and 9 Arabic numerals in the style made popular by the Rolex Explorer. 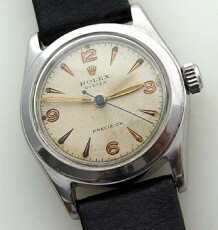 The stainless steel case has a heavy screwed on case back that carries the Pilot model name as well as the watches unique serial number. At the heart of the watch is a 17 jewel Zenith manual wind caliber 40 movement, which was just serviced by my watchmaker and is keeping great time. 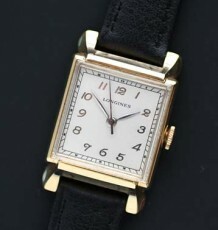 Overall the watch fits in quite nicely as a casual sporty watch and is extremely legible with the contrast of the gold hands and markers against the white dial. 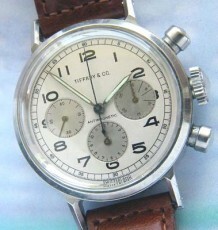 The watch measures 34.5 mm wide by 42 mm long and is supplied on a brand padded leather strap.